Petroc Trelawny presents Radio 3's classical breakfast show, featuring Dame Kiri Te Kanawa's 20 Favourite Voices and listener requests. 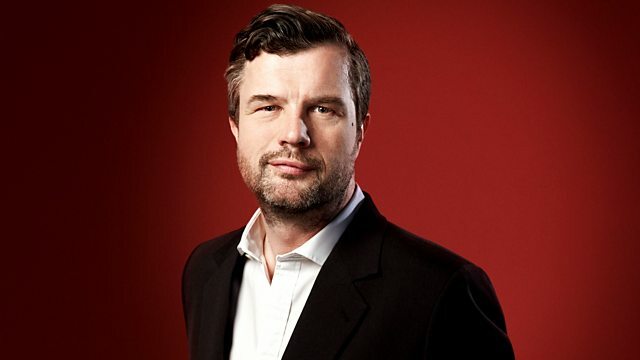 Petroc Trelawny presents Radio 3's classical breakfast show, featuring listener requests. Also, as part of "Classical Voice", we are featuring Dame Kiri Te Kanawa's 20 Favourite Voices. Each day, during the 20 days of the Classical Voice season, Dame Kiri, drawing on her own experience, selects a singer and illustrates in music - explaining in an entertaining and simple way - why she's selected this voice as one of her favourites. Holst/Vaughan Williams: British Wind Band Classics: Timothy Reynish. Liszt: The complete Annees de Pelerinage: Louis Lortie. Orchestra: Collegium Musicum Copenhagen. Conductor: Michael Schønwandt. Gade Symphonies 1 and 2. Conductor: Gustav Leonhardt. Singer: David Wilson‐Johnson. Orchestra: Orchestra of the Age of Enlightenment. Singer: Christoph Prégardien. Choir: The Choir of the Age of Enlightenment. Orchestra: Boston Symphony Orchestra. Conductor: Seiji Ozawa. Performer: Murray Perahia. Conductor: Bernard Haitink. Orchestra: Royal Concertgebouw Orchestra. Beethoven: The Five Piano Concertos: Perahia/Royal Concertgebouw Orch/Haitink. Orchestra: BBC Philharmonic. Conductor: Matthias Bamert. Dohnanyi: Symphony no. 2: BBC Philharmonic/Bamert. Orchestra: Brandenburg Consort. Conductor: Roy Goodman. Handel: Arias and Duets from the era of 'The Rival Queens'. Alexandre Tharaud: Chopin; Journal Intime. Orchestra: Berlin Radio Symphony Orchestra. Conductor: Christoph Eschenbach. Mahler: Symphonie no.1: Deutsches Symphonie-Orchester Berlin/Eschenbach. Orchestra: Finnish Radio Symphony Orchestra. Conductor: Sakari Oramo. Bartok: Concerto for Orchestra etc: Sakari Oramo. Choir: Platinum Consort. Conductor: Scott Inglis-Kidger. In The Dark: Platinum Consort, Scott Inglis-Kidger. Orchestra: Stuttgart Radio Symphony Orchestra. Conductor: Neville Marriner. Barcarole - Favourite Orchestral Pieces. Performer: Kathryn Stott. Ensemble: Hermitage String Trio. Music Arranger: Benjamin Britten. Singer: Anne Sofie von Otter. Conductor: Claudio Abbado. Orchestra: Chamber Orchestra of Europe. Schubert: Lieder with Orchestra: Chamber Orchestra of Europe/Abbado. Performer: Jack Liebeck. Performer: Katya Apekisheva. Music Arranger: Fritz Kreisler. Strauss: Josephslegend etc: Royal Scottish National Orchestra/Jarvi. Orchestra: Norwegian National Opera Orchestra. Conductor: Rinaldo Alessandrini. Mozart: Overtures: Norwegian National Opera Orchestra: Rinaldo Alessandrini.